It doesn't matter if it is 20 degrees outside or if there is a foot of snow on the ground, we break out our grill and electric smoker all year long. 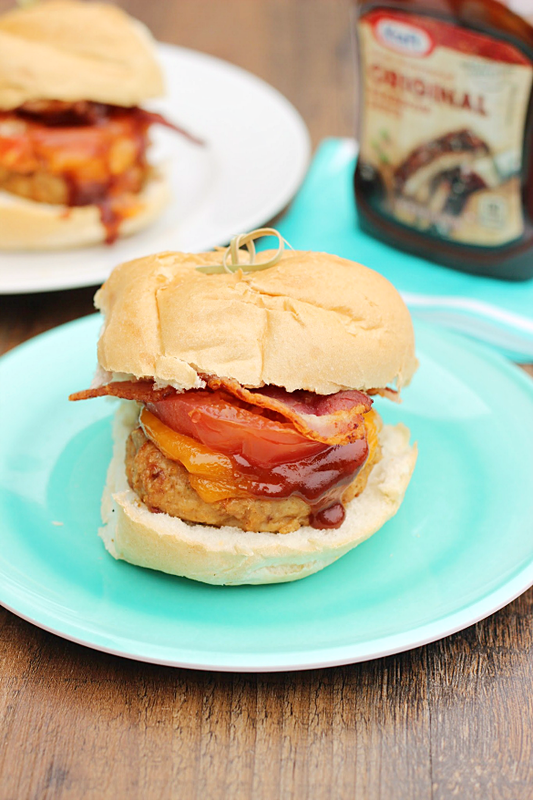 We are also huge fans of fancying up our favorite bottled barbecue sauces. 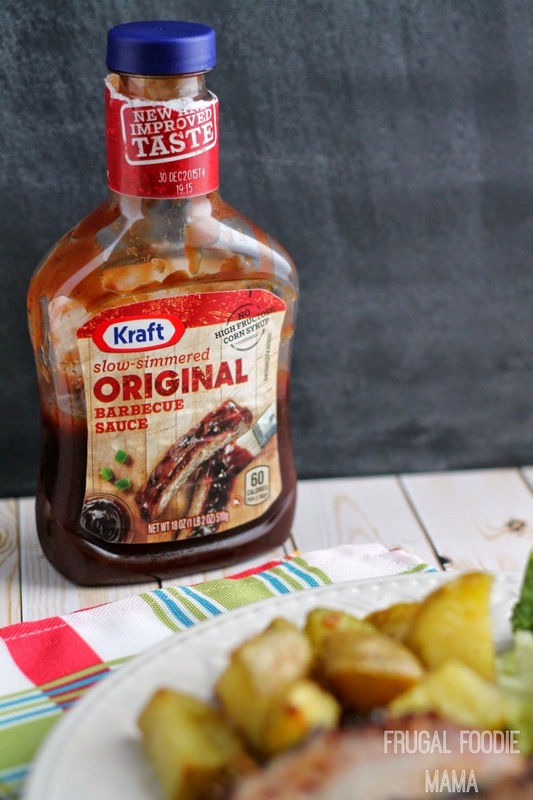 Why make it from scratch when you can pick up a bottle of your favorite Kraft Barbecue Sauce made with high-quality ingredients like tomatoes, sweet molasses, cider vinegar and cane sugar (ahem- no high fructose corn syrup here, folks!)? 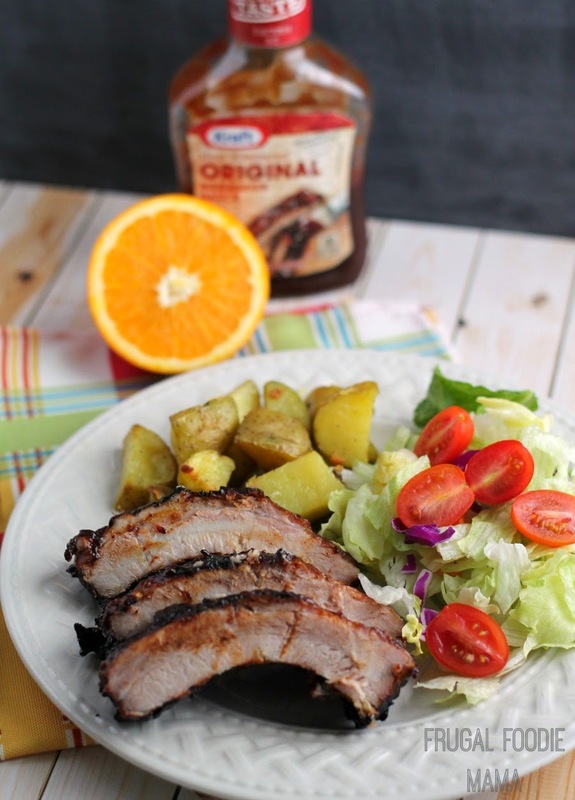 If you haven't tried Kraft Barbecue Sauces lately, be prepared to be impressed. Their line of newly revamped sauces in Original, Hickory Smoke, Sweet Honey, Mesquite Smoke, Sweet Brown Sugar, Sweet & Spicy, Spicy Honey, and Thick & Spicy are not only made with better ingredients, but are also bolder in flavor. Heat greased grill to low heat. Mix barbecue sauce, zest, juice, and pepper. Place ribs, bone-sides down, on grill. Grill, uncovered, 30 min. on each side. Brush with the barbecue sauce mixture. Grill 30 min. or until ribs are done (160 degrees F), turning and brushing occasionally with the barbecue sauce mixture. Size Wise- Balance this special occasion entree with smart side dishes. For example, choose a mixed green salad and vegetable. Substitute- Heat grill to low heat. Substitute 1 (3-lb.) cut-up broiler-fryer chicken for the ribs. Place chicken, skin-sides down, on greased grill. Grill, uncovered, 50 min. to 1 hour or until chicken is done (165 degrees F), turning occasionally and brushing with barbecue sauce mixture the last 15 min. of grilling time. Makes 5 servings. Use Your Oven- Heat oven to 350 degrees. Place ribs on rack of broiler pan. Bake 1 hour 15 min. or until ribs are done (160 degrees F), turning and brushing occasionally with barbecue sauce mixture the last 30 min. of baking time. Recipe courtesy of Kraft Recipes. 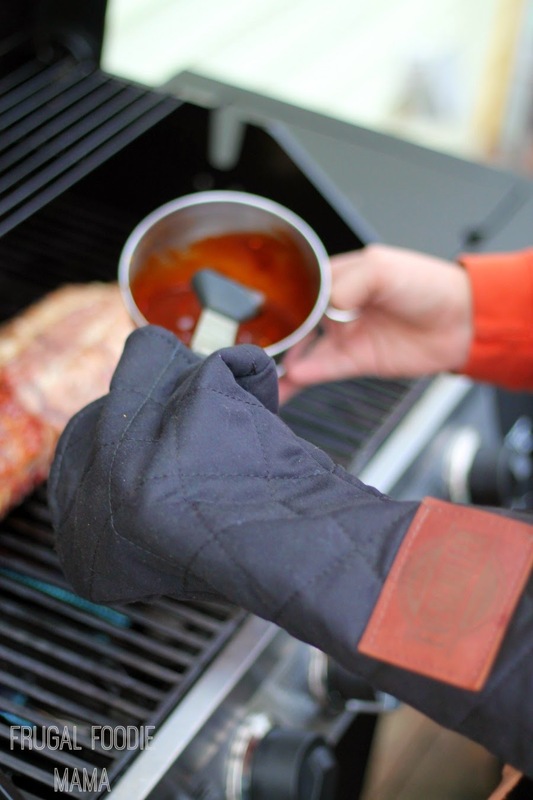 Grillers everywhere can enter for a chance to win an Evergriller Grill ‘N’ Flip Mitt of their own and a year’s supply of Kraft Barbecue Sauce. To enter, grill fans can visit GillinFools.com between January 19 and January 30- SO HURRY! :) The winner will be randomly selected at the close of the giveaway. Grilled baby back ribs happen to be an every once in a while indulgence for us. 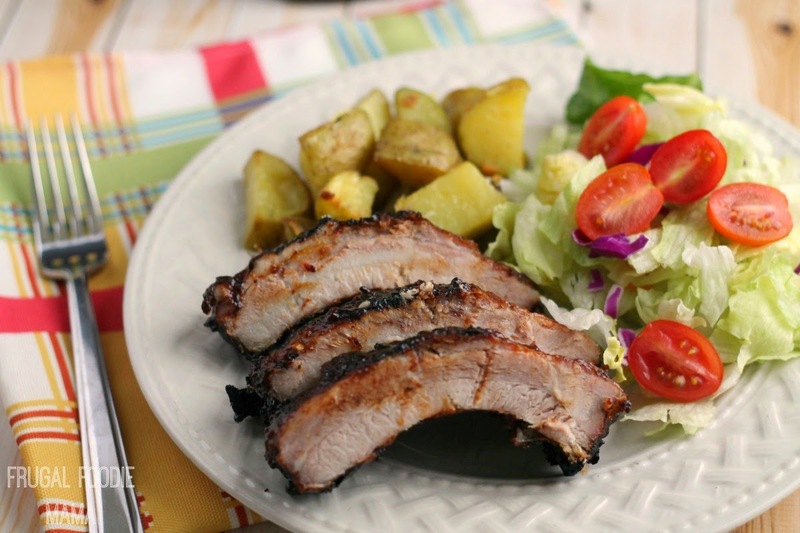 We balanced out these flavorful, tender ribs with simple potatoes roasted with fresh garlic and olive oil, and a fresh garden salad. 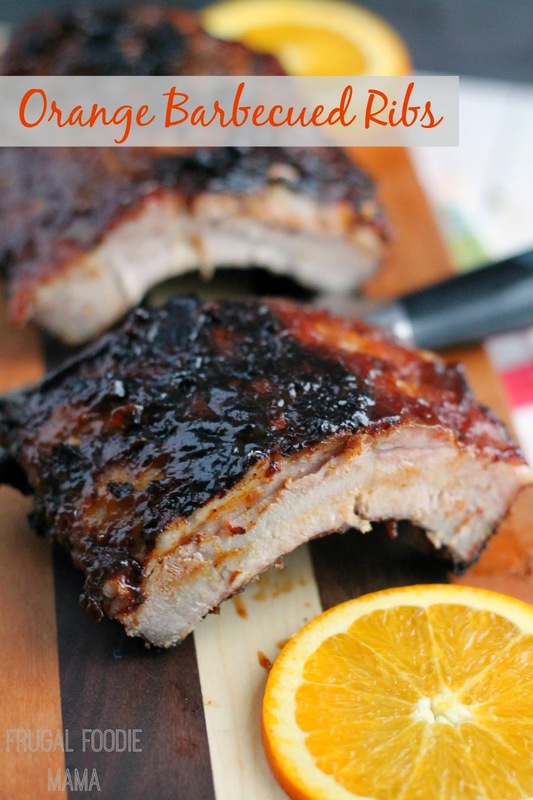 These Orange Barbecued Ribs are perfect for a special dinner or for grilling up for the big game. 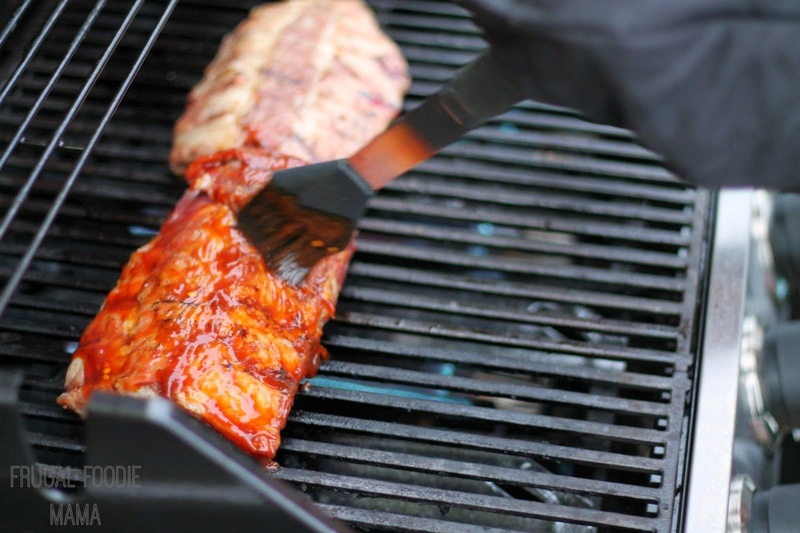 Do you grill outdoors come rain, sleet, snow, or freezing temperatures?